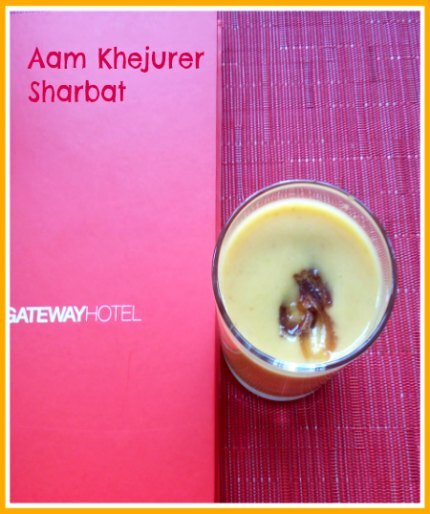 This time my food Blogger's group, Kolkata Food Bloggers, got invitation from The Gateway Hotel for the press lunch to introduce their new menu to "Purbo Banglar Aahar" or neighbouring Bangladeshi Cuisine. 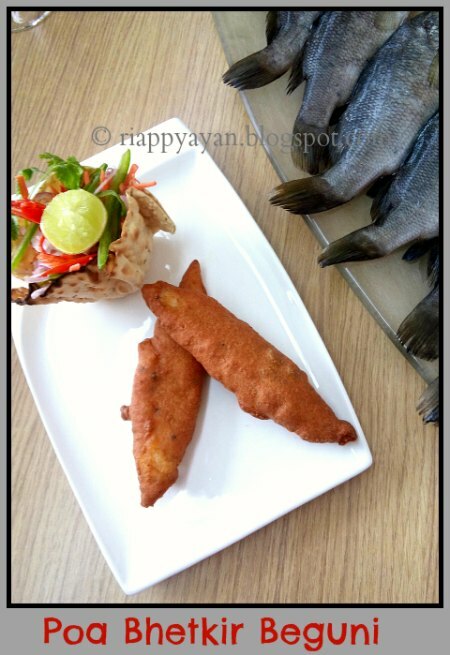 On a weekday, me along with my blogger friend, Sayantani has reached at sharp 1, at the Buzz, the restaurant of The Gateway Hotel. Buzz, located at the lobby level of The Gateway, just beside the reception area, is an all-day diner which offers a perfect cosmopolitan mix of International cuisine - European, Continental, Indian regional and Asian. 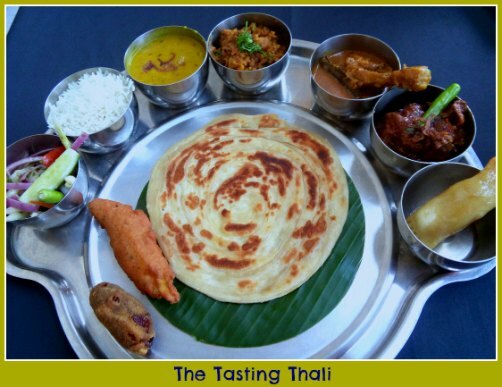 Since their launch, the Gateway hotel, Kolkata has also focused on an almost unexplored Bangladesh's Heritage Cuisine and has now curated an unforgettable experience with its "Purba Banglar Aahar" - a new menu of old favorites and new flavours. "Purbo Banglar Aahar"/East Bengal Food or Bangladeshi Cuisine which is very similar to Bengali food of Kolkata/West Bengal Food or "Bengali Cuisine" in terms of ingredients and cooking procedures, but still very distinctive in taste. 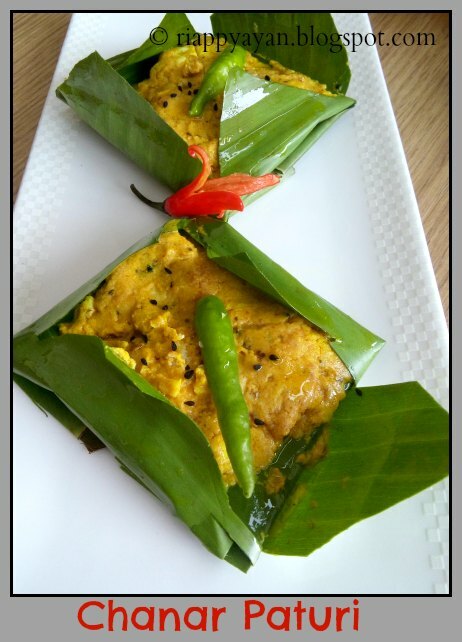 The executive Chef of Buzz, the Gateway Hotel, Chef Asish Roy has traveled to Bangladesh back and forth to bring us such an extraordinary range of authentic dishes from every part of Bangladesh. The key to the authentic taste comes from freshly ground spices and using the freshest catch of riverine fish and fresh vegetables from local produce. As we reached there, a table was fully decorated with the newly included dishes and different kinds of fresh fish and vegetables. 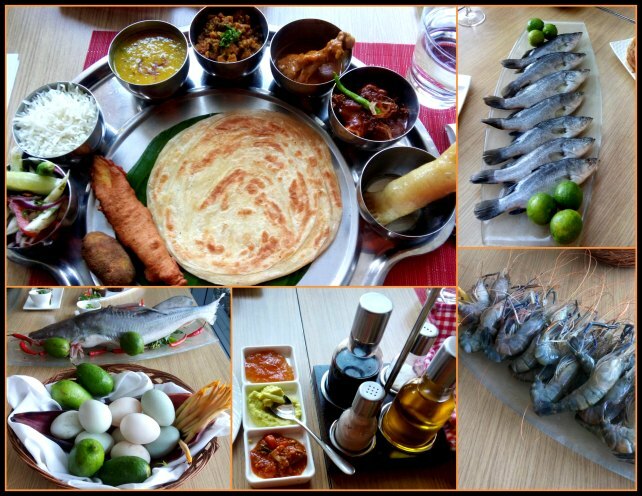 Chef Asish Roy was present there and was making sure that all the dishes were kept properly on the display table. 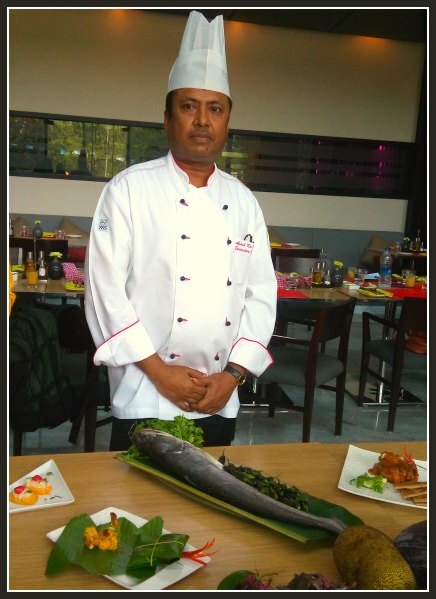 It was a pleasure meeting Chef Asish Roy who is serving as Executive Chef of The Gateway since 2011. From welcome drinks to the dessert, he was making sure we all present there, have tasted them and was explaining every minute facts about Bangladeshi Cuisine. He told us that Bangladeshi people don't use sugar as much as in West Bengal or Bengali cuisine and they use Kagji Lebu(Flavoured Lemon) while we use Gandharaj Lebu(another type of flavoured Lemon) in Bengal. 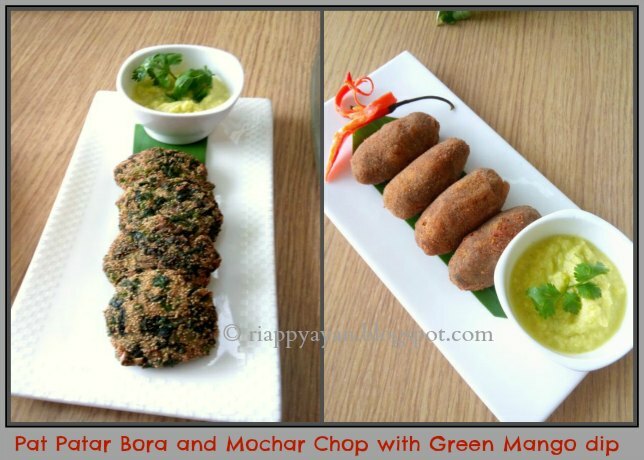 Then in Starter/Appetizer, there are Mochar Chop(crumb fried banana blossom) and Paat Paatar/Shaak Patar Bora(Pressed seasonal leaves fried with gram flour, rice flour & khuskhus) in vegetarian and Poa Bhetkir Beguni(Gram-flour batter fried Baby Bhetki or Basa fish) in Non-Vegetarian items. Doi Begun(curd filled fried eggplant) : A very traditional dish made with brinjal/eggplant has been given a new look and presented in a very attractive and innovative way. Gachh Pathar Gelasi (a slow-cooked spicy raw jackfruit preparation): Raw Jack fruit which is in local language known as "vegan Mutton" and also it tastes quite similar to mutton, cooked with the Chef's special spices in a slow-cooking method. No picture is available but the Non-veg. variation with Mutton( an old menu-dish) is below for your reference and it tasted just of this world. 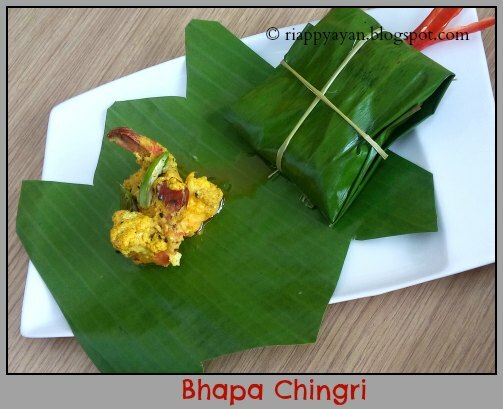 Bhapa Chingri : a rich preparation of fresh prawns in mustard gravy. 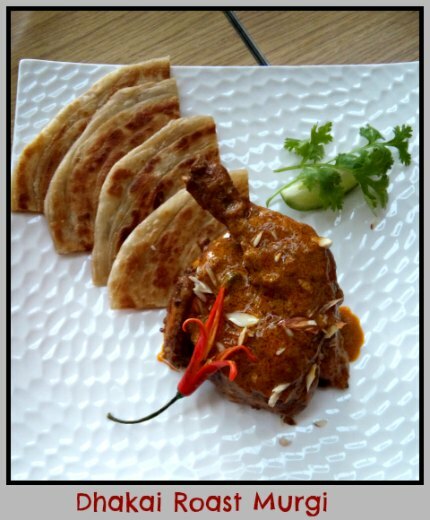 Dhakai Roast Murgi : It's a roasted chicken, cooked with freshly ground spices and served with Chatu/sattu paratha. Malai Kusum : a yellow colored sweet made with channa or cottage cheese, topped with malai or reduced milk - a very balanced sweet dish which just melts in your mouth as soon as you eat it. Food Tasting : After, the food display, we were served a huge thali for tasting with more than 10 dishes with their new and old dishes. There were Mochar chop and Poa Bhetkir beguni for starter, where mochar chop was just so so or may be I was very familiar with the taste. But the Poa Bhetkir Beguni need a special mention here, it was just out of this world. It tasted divine. It would a hit among Kolkatans, I'm sure. Then there was Ghono dal or red lentil cooked with spices and reduced to thick consistency, it tasted great too with plain rice. next to the dal, is Chingrir Bharta or minced prawns cooked with spices was just extraordinarily delicious. I'll recommend everyone to try out this dish. 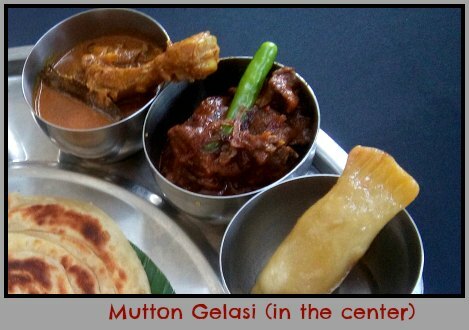 And then there was Dhakai Roast Murgi and Mutton Gelasi or a slow-cooked mutton dish, tasted just great, a well-cooked mutton dish coated with just the right amount of spices. Chatur Parota or a layered paratha made with Sattu was just the right thing to mop up all the deliciousness. In dessert, there was Bhaja Pitha, a dessert native to Bangladeshi Cuisine, was just melt-in-the-mouth. 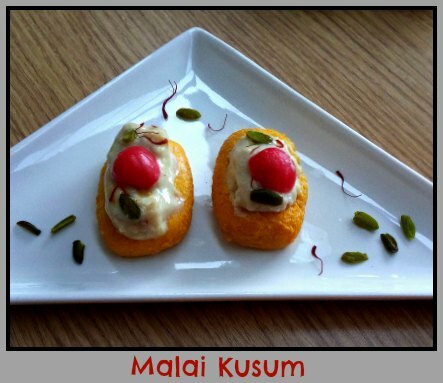 Last not the least, Malai Kusum marked an unforgettable taste to my mouth. 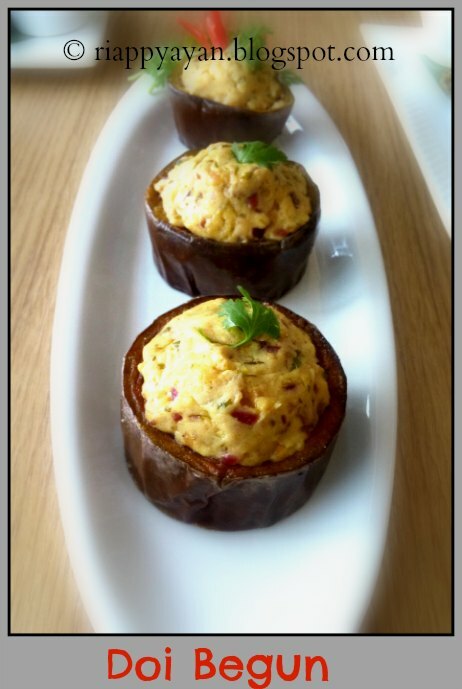 These dishes are mostly available in a-la-carte with some combination of dishes and a vegetarian and non-vegetarian set meals are also available. Average cost for two to dine is Rs. 2000.